Hey everyone, today we’re going to be taking a look at 7 of the best Orient watches available for men. 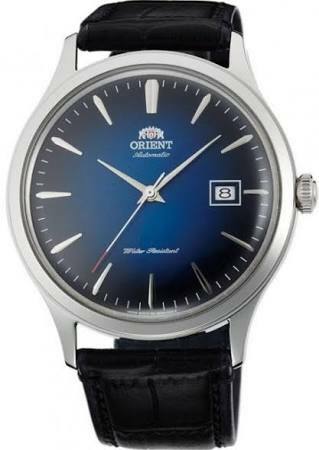 Orient Watch Co was founded in 1950, they’ve been one of the largest manufacturers of mechanical watches in the world. These days the company is owned by Seiko Epson Coropation, a core company of the Seiko Group. 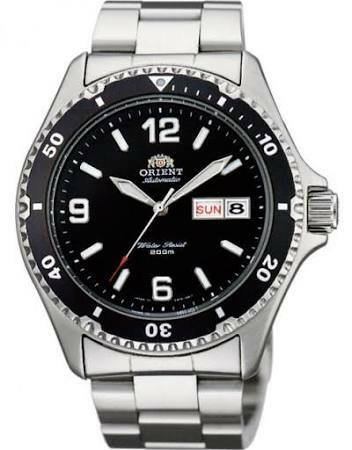 Orient focues on affordable watches in a variety of styles, primarilly with automatic or mechanical movements. Below we have 7 affordable Orient watches to show you to give you an idea of some of the styles available from the brand. As always comment at the end and let us know what your favourite model was. 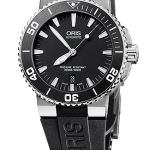 The first watch we’re taking a look at on this list of the best Orient watches for men is this Orient Mako II. It’s a Japanese diving style watch that runs on a quality Japanese automatic movement. Another great diving watch I’d recommend is the Steinhart Ocean 1. As you’d expect from a diving type watch, this Orient timepiece has a high visibility display with bold hands and hour markers that are coated in lume for easier reading in dim lit conditions. There’s a handy day and date display on the dial and it also features a 120 click uni-directional coin edged bezel. 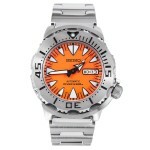 It has a 200m water resistance rating that should prove suitable for most people’s needs. You can read my full FAA02002D9 Orient review here soon. The domed design of the dial and mineral crystal of this watch gives it that classic dress style finish. This Orient watch runs on a high quality Japanese automatic movement that’s powered by the movement of the wearer’s wrist, meaning you’ll never have to change a battery. This watch only has a 30m water resistance rating so it wouldn’t be suitable for the range of activities that the previous model is. You can read my full FAC00005W0 Orient review here soon. Up next we have another popular Orient timepiece with a beautiful high contrasting dial design that clearly display the time with the use of lume coated hands and hour markers. There’s a useful day and date display located at the 3 o’clock position as well as a 120 click unidrectional bezel. Powering the watch is a F6922 automatic hand-winding hacking 22 jewel movement. 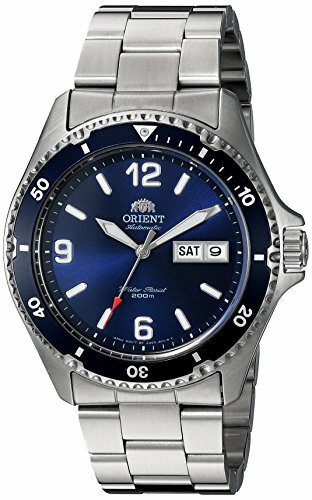 Like the first Orient watch features, this model also has a 200m water resistance rating. You can read my full FAA02001B9 Orient Watch Review here soon. 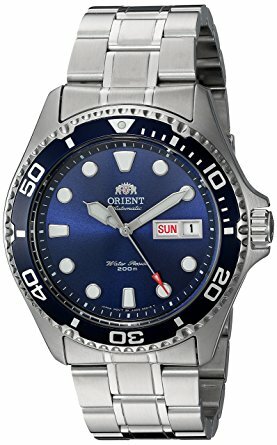 Here we have another stunning Orient divers watch with a 200m water resistance rating. This model features a high visibility display with lume coating the hands and hour markers, just as you’d expect from a decent diver’s style timepiece. The watch features a Japanese automatic movement and has a mineral crystal glass for scratch protection. You can read my full CEM75001B Orient watch review here soon. 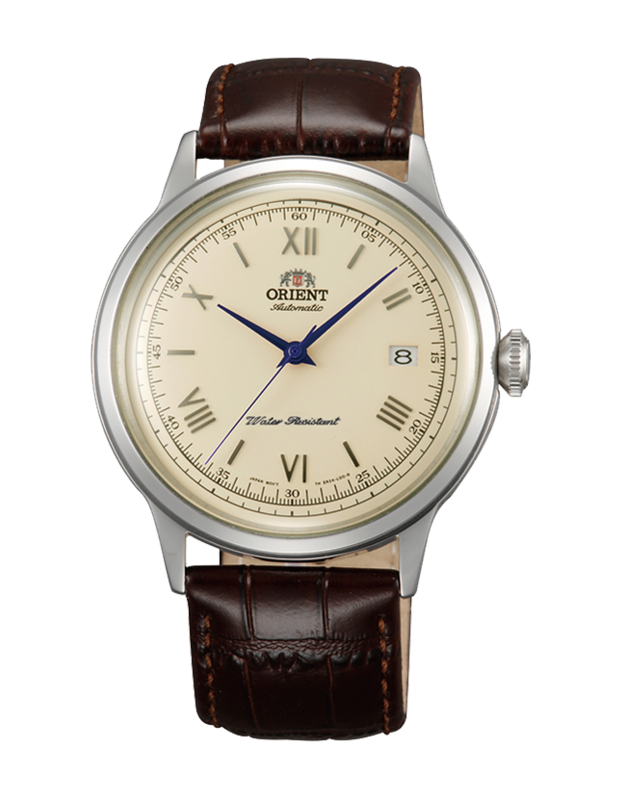 Up next in our list of the best Orient watches for men is this dress style watch with a domed mineral crystal glass and dial. It features a decent Japanese made automatic movement and has this vintage style dial. I love the hint of colour they’ve gone for with the deep blue of the hands, it really makes them pop and draws your eye in. Being a dress style watch, it does only have a 30m water resistance rating. You can read my full FAC00009N0 Orient watch review here soon. I wouldn’t blame you for thinking this is exactly the same model as the first watch shown on first glance. To be fair it is a very similar watch. The different being the thicker design of the hands and the use of bold dots for the hour markers rather than numeral and standard markers. 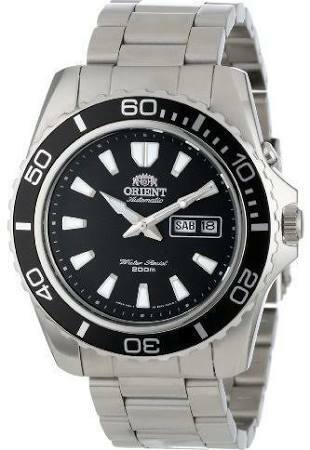 This Orient watch has a 200m water resistance rating, day and date display, and runs on a automatic movement. You can read my full FAA02005D9 Orient watch review here soon. 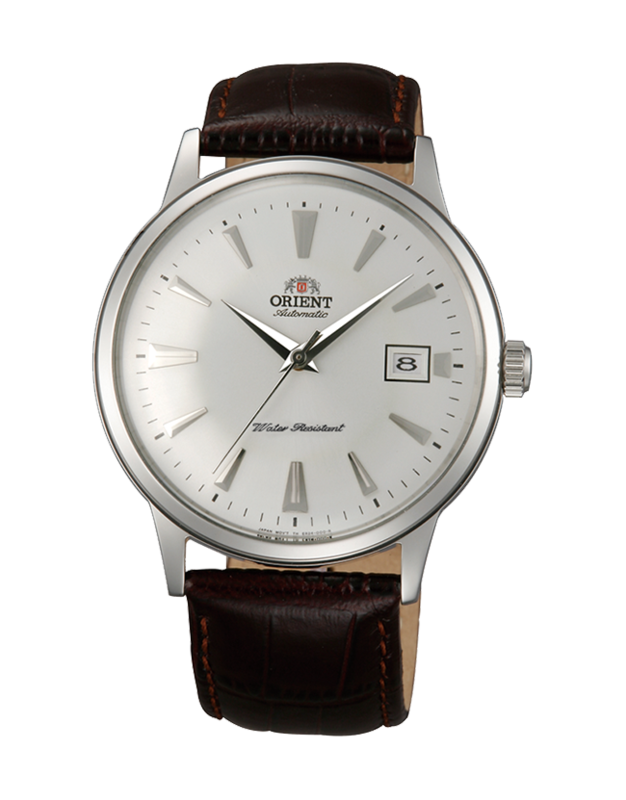 Here we have another classic Orient watch with the vintage style domed crystal and dial design. The watch features a mineral crystal glass for a good level of scratch protectiong and runs on a Japanese automatic movement. As it’s a dress style watch, this model only has a 30m water resistance rating. You can read my full FAC08004D0 Orient Watch here soon. 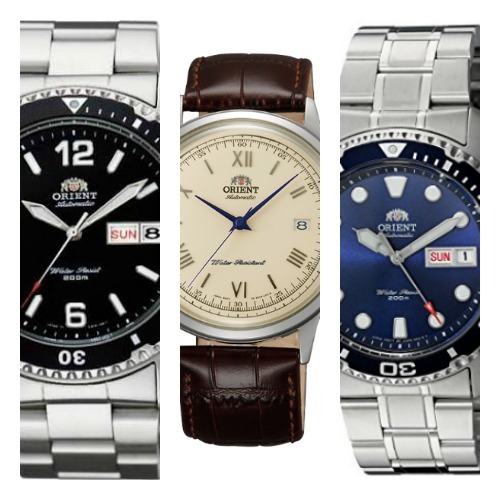 Thanks for taking the time to read through today’s post on the best Orient watches available for men. What was your favourite? Comment below and let us know. 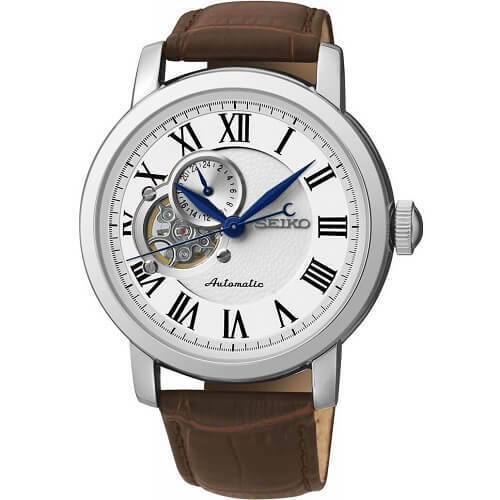 Seiko Automatic vs Kinetic Watches – What’s The Difference? I was given an Orient Automatic 21 Jewels watch by a man who use to be an ambassador for the UK in Africa. I have searched the internet and also made phone calls to watch specialists in England, however I cant find this model on line and the person I spoke had never heard of the brand name. It has a gold plated metal strap with gold surround and gold face. The glass on the face has a ridged look to it. I will send a photograph hen I get a reply. I’d like to see more details in your Orient watches review. Where are the watches made? Are they good quality? Should I go for their expensive watches or just stick to the more affordable ones?